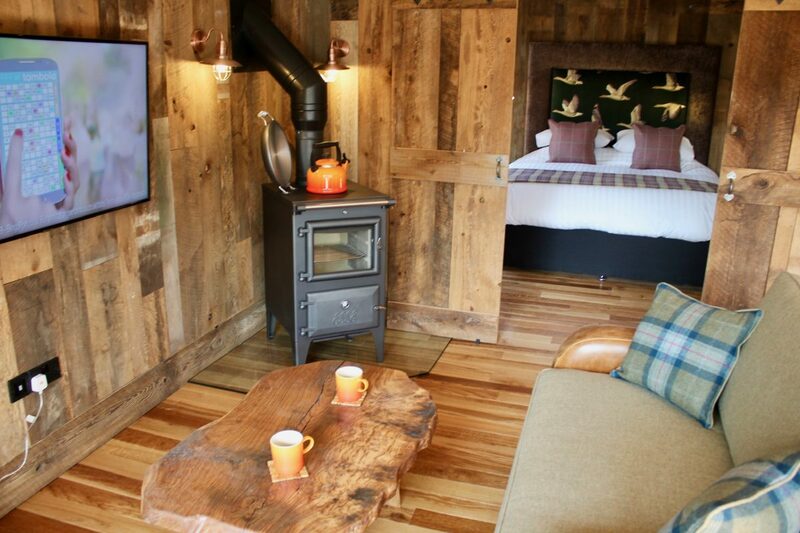 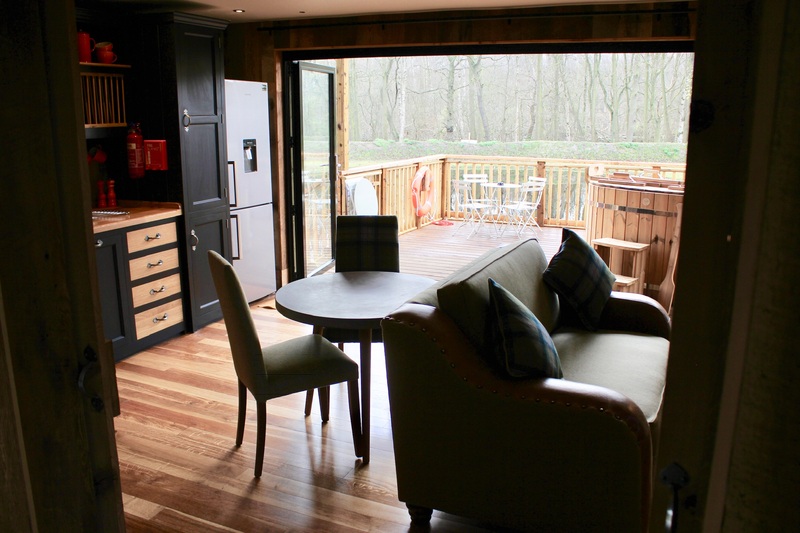 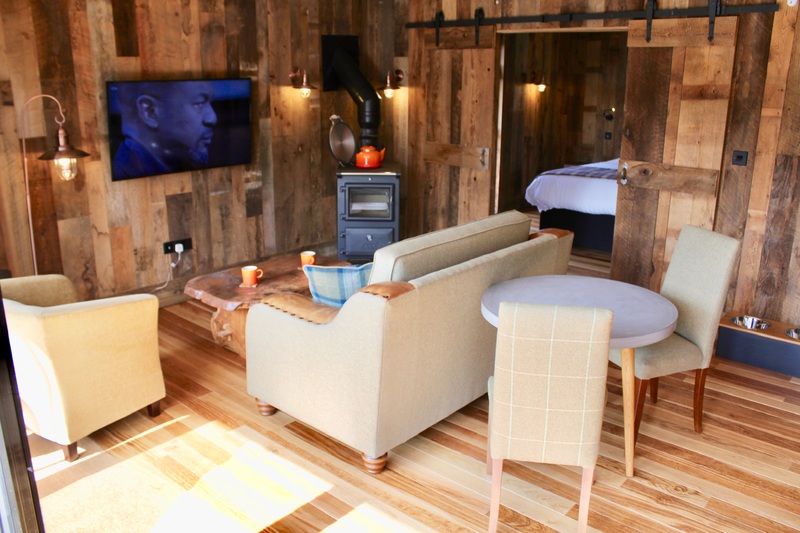 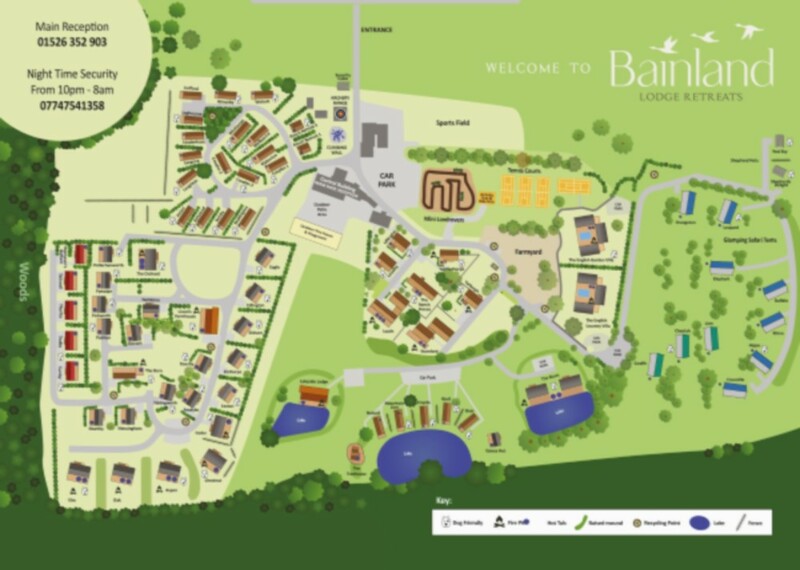 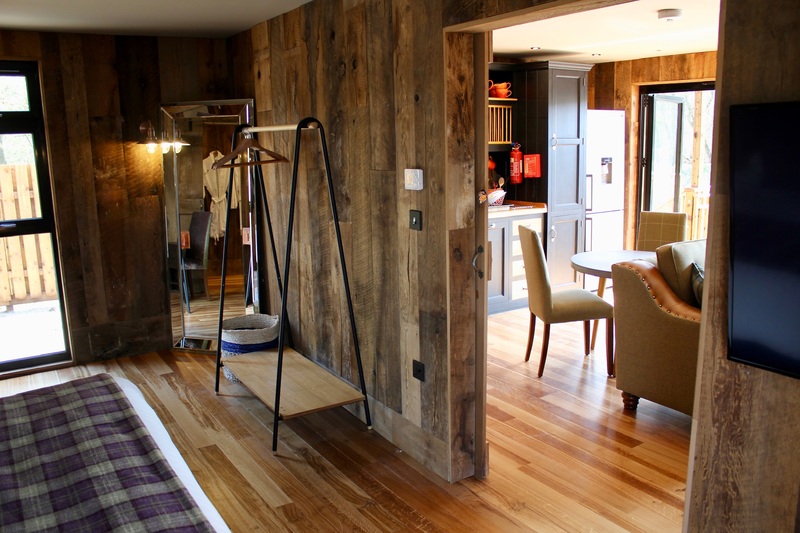 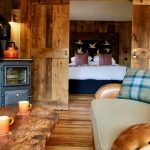 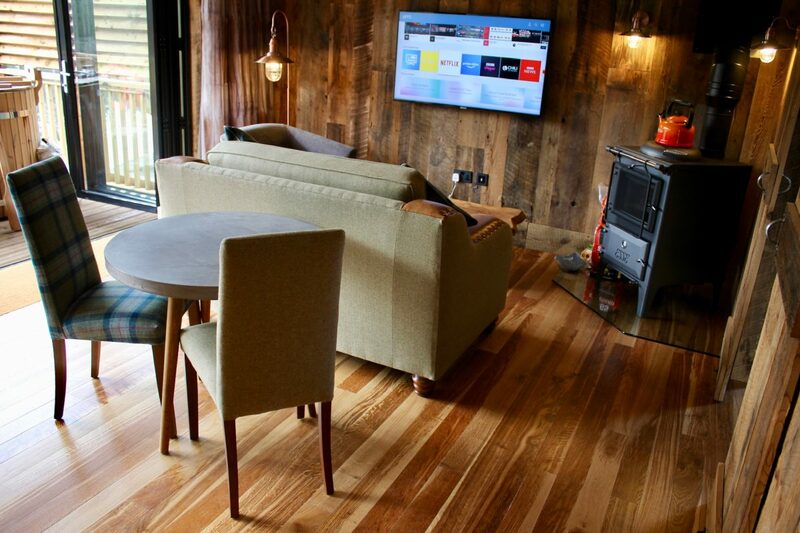 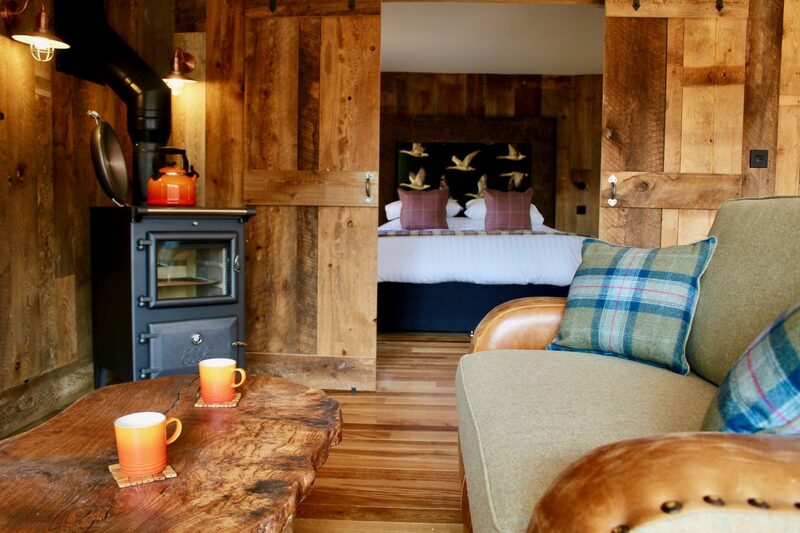 New at Bainland our 1 bed Lakeside hunting retreats are inspired by the mountain hunting lodges of America with a romantic English countryside twist. 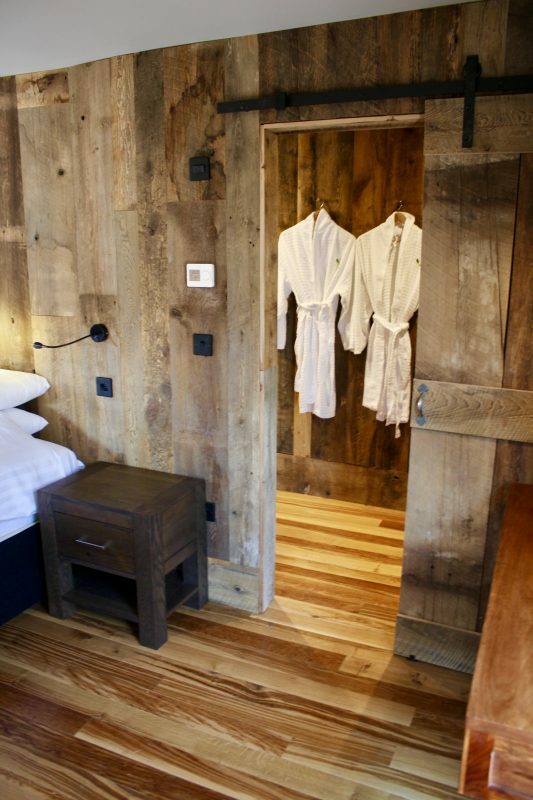 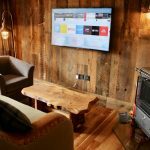 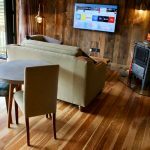 These cabins are the perfect retreat from the world around you, but with fast wifi for movie nights. 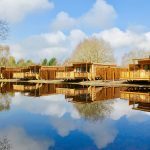 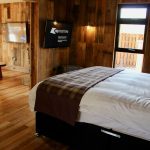 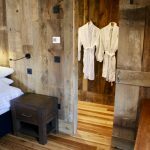 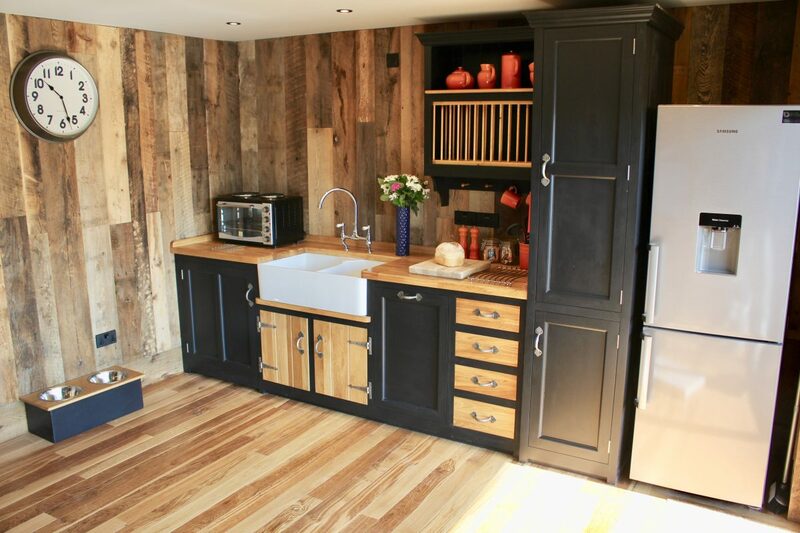 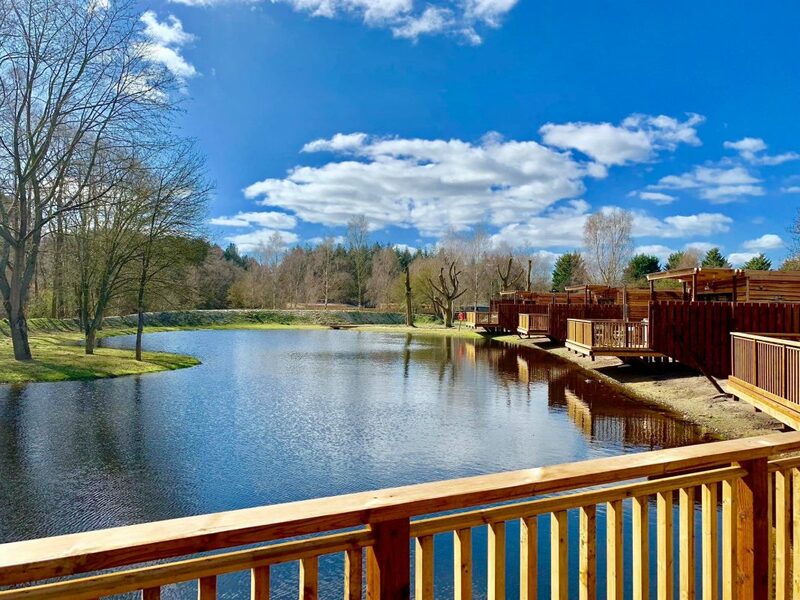 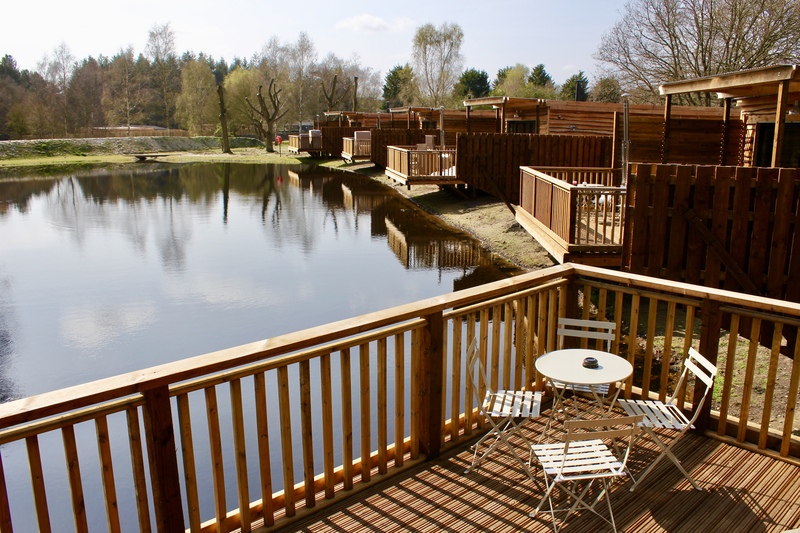 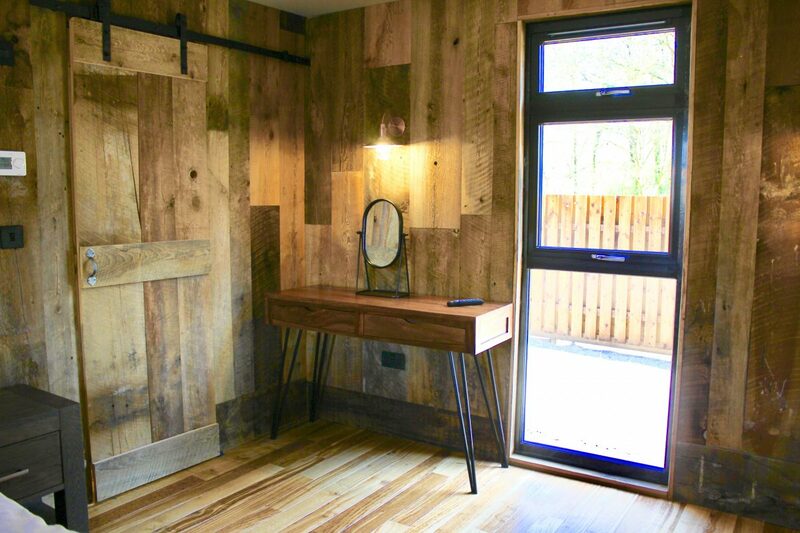 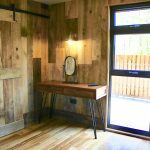 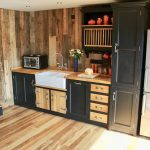 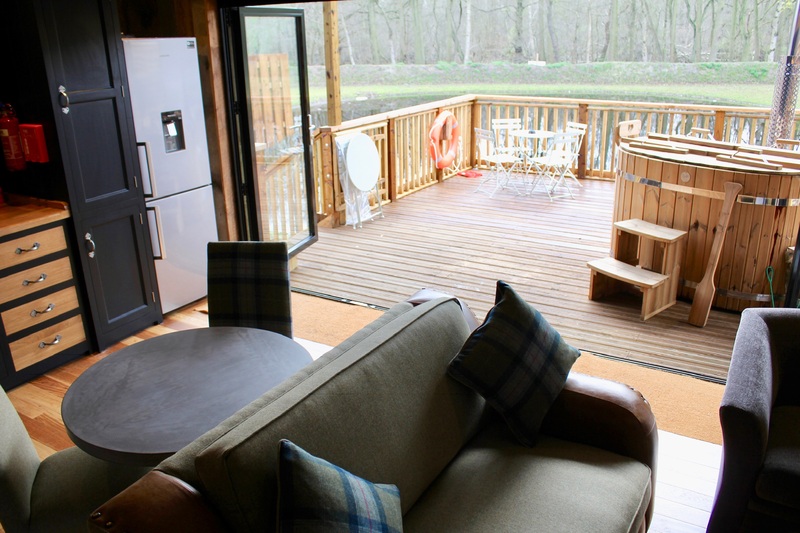 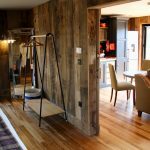 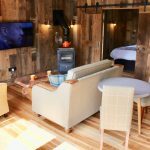 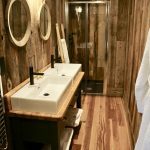 Built over one of our new lakes, these cabins are over budget and months late in their creation... but they really are something special and we are very proud of them. 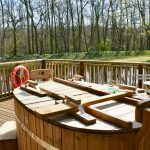 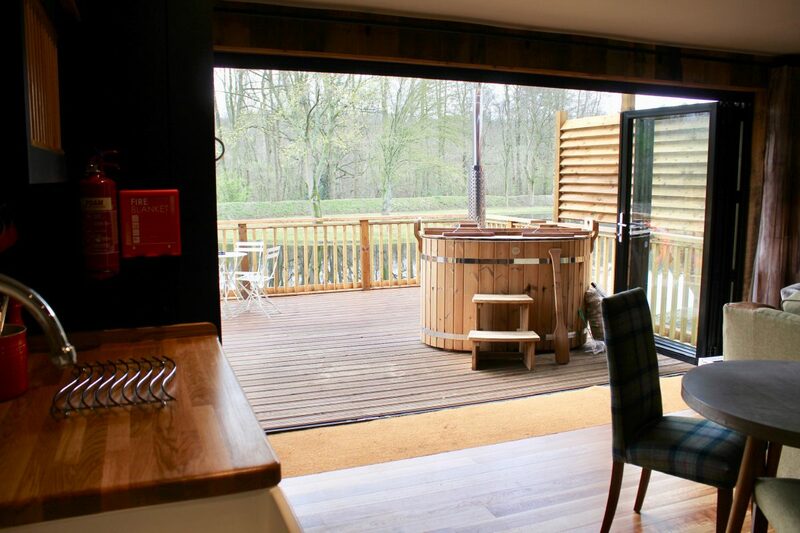 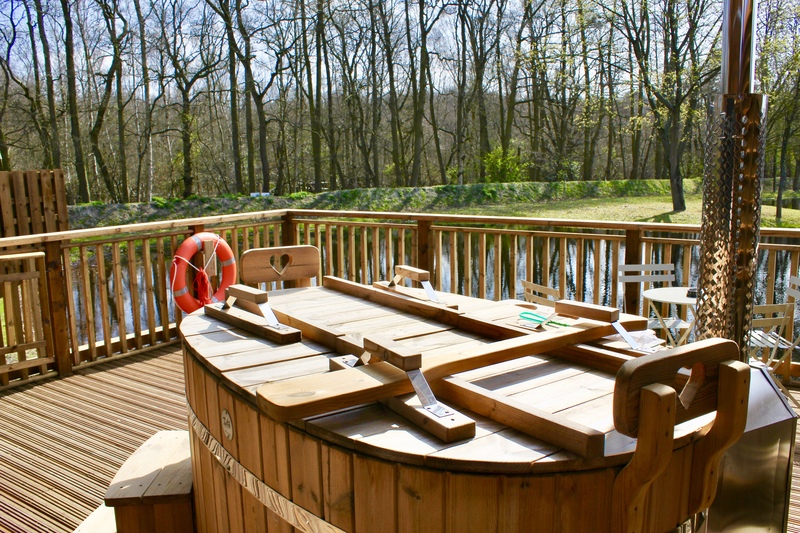 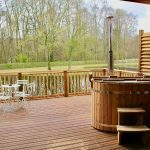 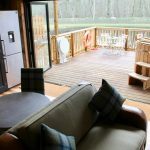 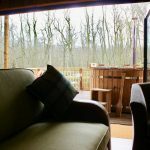 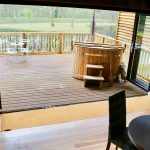 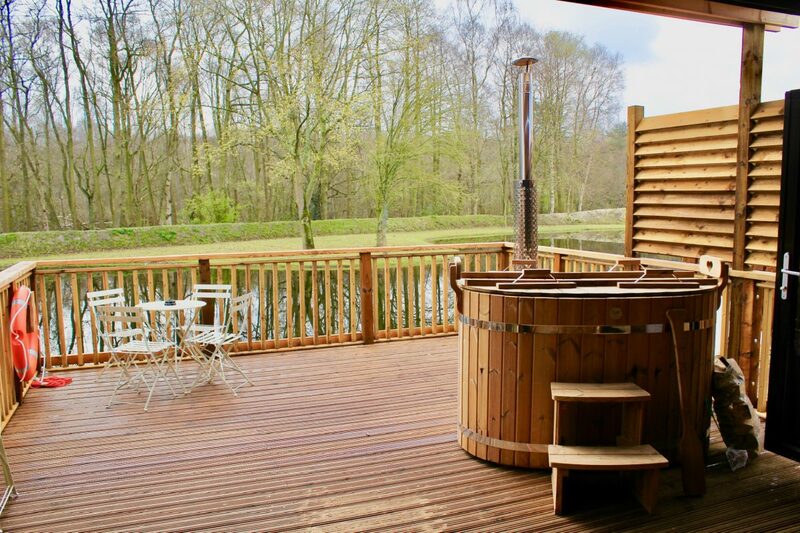 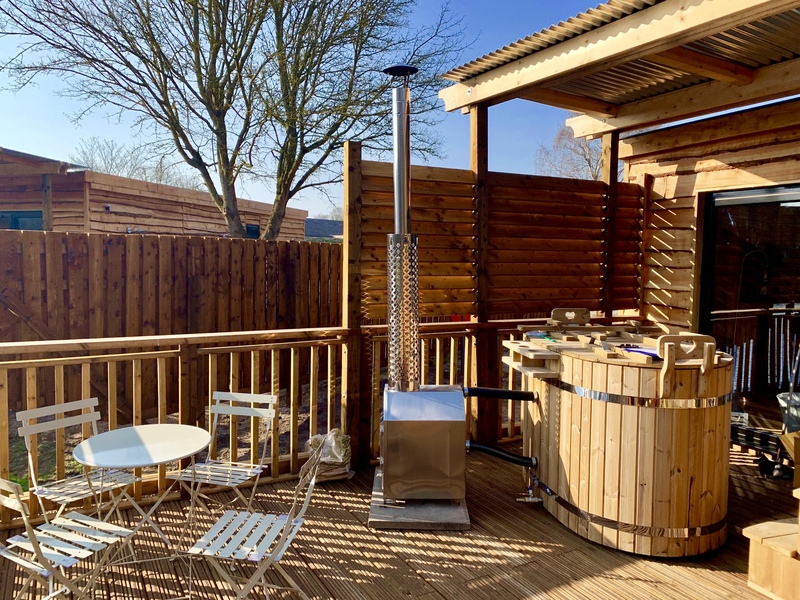 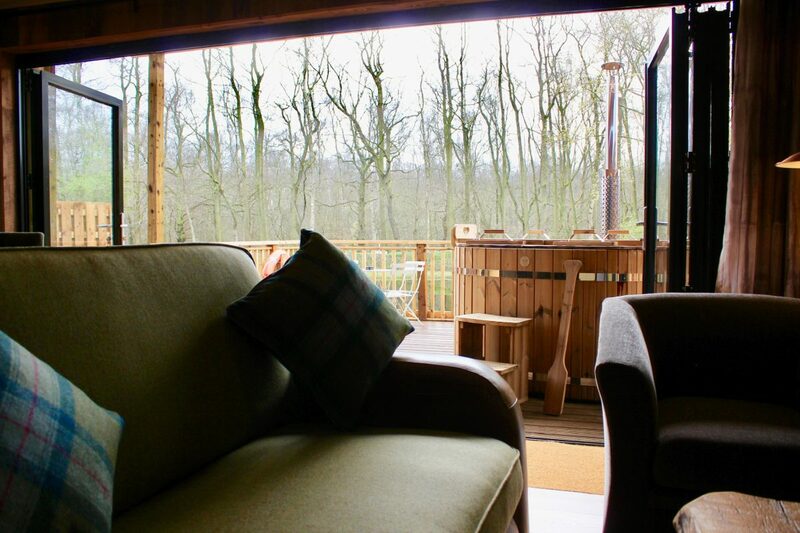 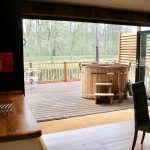 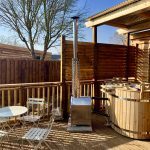 The south facing veranda is partially covered by a tin roof to give the added option of enjoying the private hot tub bath in the rain as well as in the lazy afternoon sun on the decking. 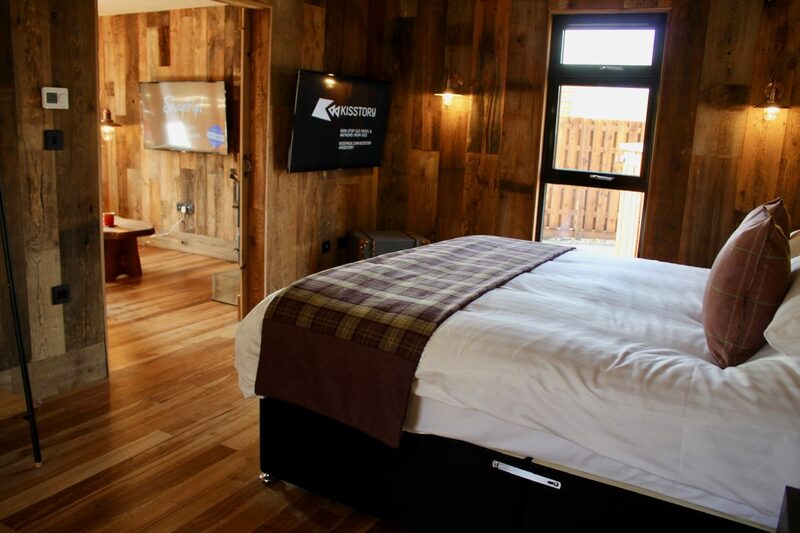 Super king bed in a large bedroom with ensuite rainforest shower. 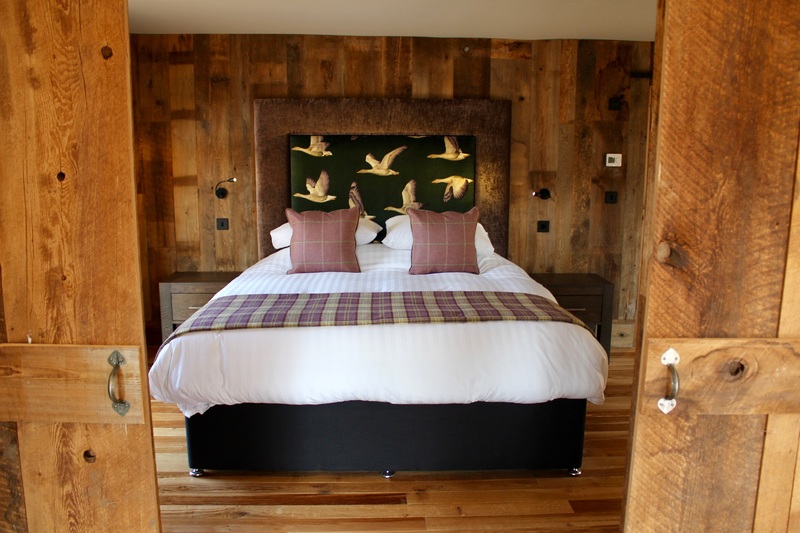 There is also plenty of room for a cot in the bedroom. 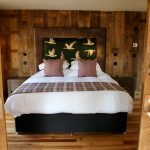 Super king Bed for lie ins. 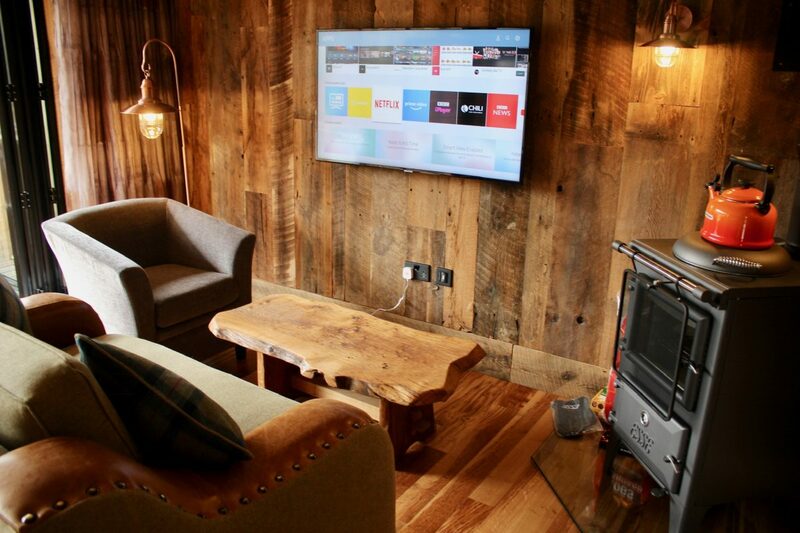 Super fast wifi included in the price of your stay. 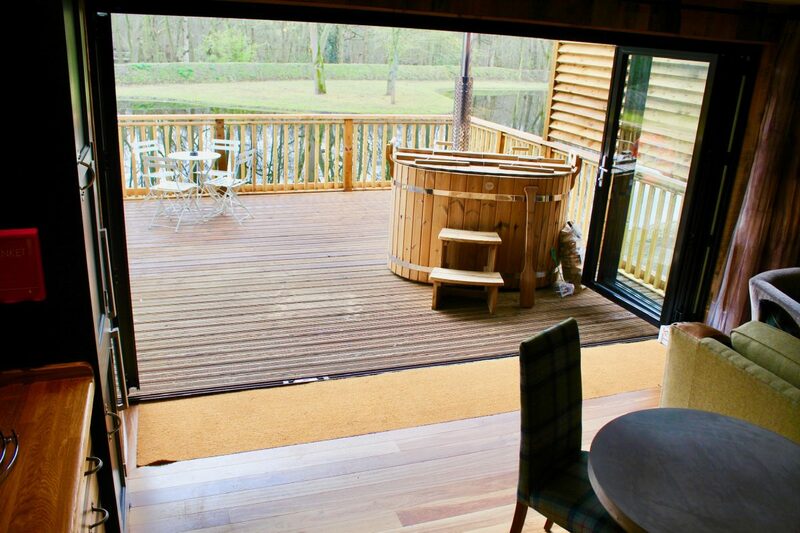 also provided for use in the hot tub bath. 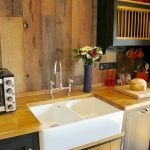 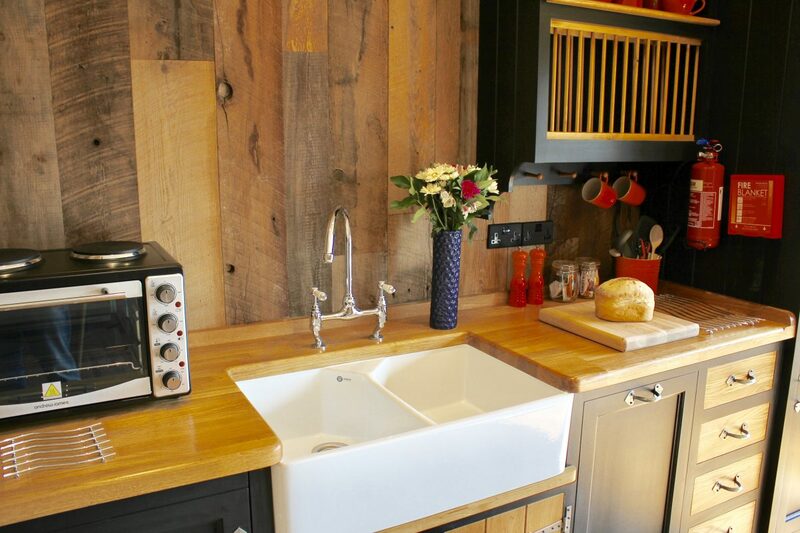 Fully equipped kitchen with Belfast sink, fridge freezer, dishwasher as well as kettle and toaster. 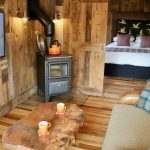 Esse log burning stove for cooking and heat. 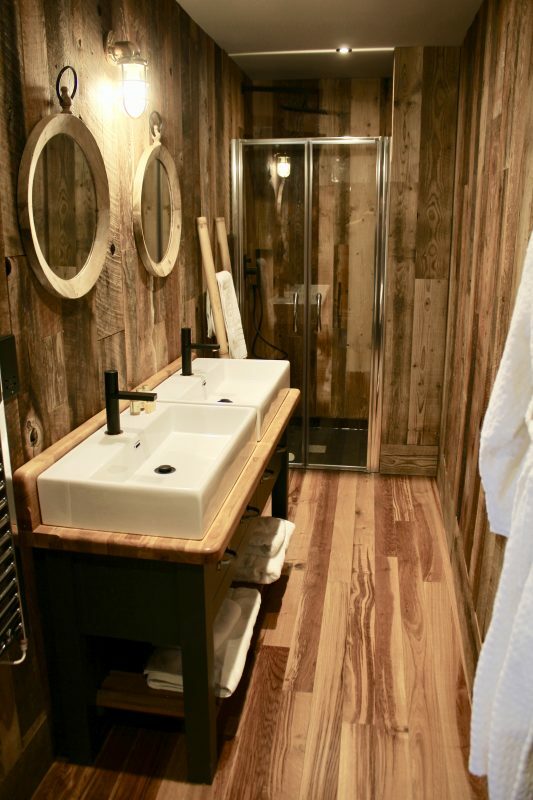 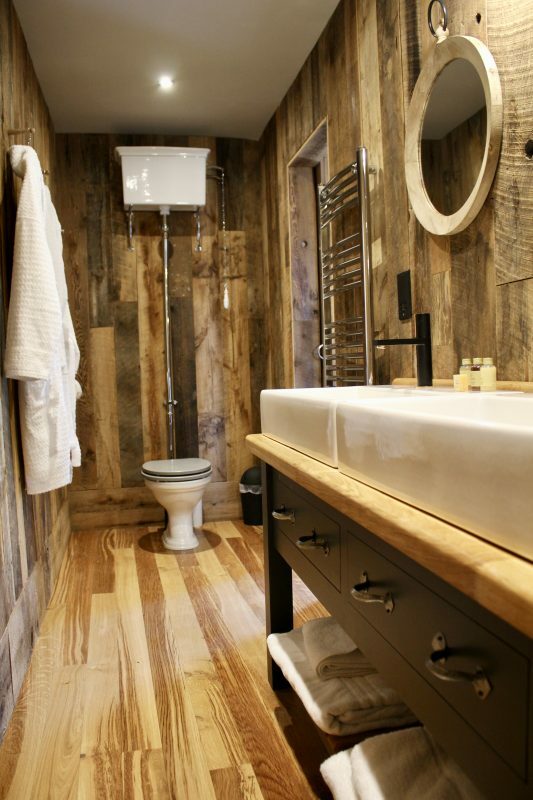 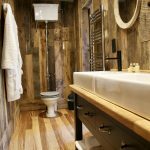 Heritage style bathroom with 2 sinks, toilet and rainforest shower head inside a wooden shower..
Underfloor heating in the bedroom and bathroom. 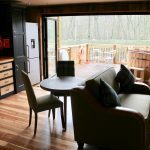 Enough room for a cot or two in the large bedroom. 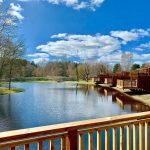 The lake is purely for decoration at this point in time. 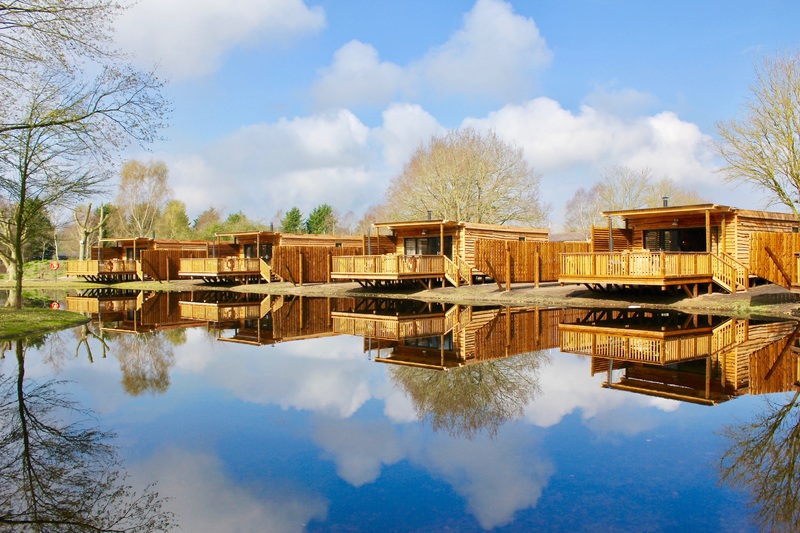 The lake will be planted with water filtering species from April and will evolve into a swimming lake in the next 12 months in time for our 2020 season.